And now our final port is in sight. We get up early because how often in your life do you get to sail past the Statue of Liberty? She stands there in the early morning hours holding her torch high after we sail under the George Washington Bridge. And then, after one final breakfast, we have to leave our stateroom. Dragging one little suitcase each, we leave our bubble and re-enter the real world. For as far downtown Manhattan can be classified as the real world. We can actually walk from Pier 88 to our hotel, which is less than a block from Central Park. We’re happy to get the exercise and the weather is great. It feels like spring. We walk to Broadway, cross Time Square. I love the weirdness, the wildness of NY. Everything is possible in this city that never sleeps. I don’t either. My favourite is a visit to the New York Public Library with its famous lions. We visit the children’s library and I sign the copies of my books they have. And we admire the original Winnie the Pooh, Eyeore and Piglet on display. How cool is that. The next day we planned on renting bicycles to see all of Central Park. But a cold wind helps us to decide against bikes and to just walk. We end up walking 10 KM – criss cross through the park, past the Met and the Guggenheim, along lakes and statues and the carousel. What a fabulous foresight the designers had who decided, well over a hundred years ago, to set aside this land for a public park. And how awesome that greed never turned it into yet another high rise here or a condo building there. 840 acres (340 hectares) of public lands where people hike, jog, ride, stroll. Squirrels chase each other, birds sings. You can almost block out the sirens and the honking rows of yellow taxis here. What would Columbus think now? So we sit in this little hide-a-way Italian place in Manhattan with pizza and wine and toast: to a great cruise, and to our next trip! To get to southern California, we could have continued on the Amtrak train from Eugene, Oregon to L.A. But the train arrives in downtown L.A. around 9 PM, if it is on time. We did not want to get there so late at night. Nor did we want to fly to L.A. and then have to drive somewhere in a rental car. So, instead of flying to L.A. we opted to fly to Palm Springs. Flights from Eugene are easy and relatively cheap. We found an Air BnB offer online that sounded attractive: a private little house in a resort at a reasonable price. Picking up a rental car at the Palm Springs airport, we drove to Sky Valley, perhaps a 30 minute drive by the light of a gigantic moon hanging low over the desert. The Palm Springs valley is a strange place. Baren hills rise sharply against the blue sky. Endless scrub brush covers the valley floor. Towns like Palm Springs, Desert Hot Springs, Sky Valley, Indio, Palm Desert, Cathedral City and many more have grown into almost one large urban sprawl. However, the sprawl is low and the same color as the desert. Even shopping malls must have a building code so that everything blends nicely into the natural environment. And there is lots of empty land left all around. The visitor centre at the Nature Reserve is a palm log cabin! Towering palm trees are everywhere. Too bad that the Santa Anna winds come howling down the mountains regularly. But the clear blue skies, the sun sets, the wild flowers, all make for a wonderful stay in this desert environment. Snow birds and movie stars make this area their home. There are lots of retirement homes and elderly care facilities, and I can’t blame them for wanting to be in this great climate. Kees goes hiking each day in desert trail areas and nature preserves. We’ve walked through amazing palm groves at Coachella Valley Preserve (http://coachellavalleypreserve.org) I have never seen palm trees this size! We walked to one grove where the palms formed a solid wall, towering high above us. The trail led to a pond surrounded by these California fan palms. You can buy fresh palm dates in road size stands! Salt Spring to San Juan to Oregon and back. We were ready for a break from weeding, chores and cleaning rooms. So off we went to Oregon, hoping to explore backroads and places in between we had not yet seen. We made reservations on the Washington State Ferry from Sidney, BC to Anacortes, WA. Since we had to take the Fulford ferry to get there, we were hours too early. But it was nice to suddenly sit in the sun and read a book. We both felt too tired to do much else. I guess once you stop working, it hits you. It is interesting to note how different Washington State ferries are from BC ones: no fancy gift shops, no wifi, no luxurious buffets. Fare is cheaper: 107 Canadian versus 61 US from Vancouver Island to the main land. As we have been telling BC Ferries: you are not a cruise ship but a link in our highway system…. We chose to spend the first night in Friday Harbor on San Juan Island. We had stopped there several times before but never stayed to explore the island. Now we were there by 1 PM and spent the afternoon driving around the entire island. San Juan seems very similar in size and landscape to Salt Spring – but not nearly as artsy. My favorite stop: Snug Harbor’s marina and coffee shop. I had booked a hotel online. I am still not sure if the choice was right or wrong. I had only been able to find very expensive places until I came across The Orca Inn on the edge of town. Booked a room for 68.- It was certainly the most affordable price. And the room was very clean, and it was very quiet at night. But the room was only 2 steps wider than the queensize bed. It felt a bit like sleeping in a drawer. The hotel was comprised of 9 double wide mobile home type building, each with 12 rooms cramped into them. Tiny but clean and it had a clean bathroom and shower. Really it was all we needed to sleep there, which was good ‘cause there isn’t even a chair to sit on. We walked around town, up and down hill. Enjoyed the shops and cafe’s. Had a nice happy hour on the patio of Friday Harbor House – great drinks and a perfect spot to sit. But the servers were snooty and were not impressed that we only drank and didn’t eat dinner there. We stopped in The Backdoor Kitchen restaurant because the ads for it were attractive. But a main course was USD 30 and up. We left and found a cozy place called The Rumour Mill, with decent food at almost half the price. The Bean Cafe served good coffee and breakfast complete with fast wifi. We walked by several nice shops and cafe’s but Salt Spring wins, hands down, as far as galleries and funky shops are concerned. What always amazes me if the number of cyclists on these islands. Tourist organizations seem to promote the Gulf and San Juan Islands as bicycle heaven. And they could be. But, in my eyes, they are a far cry from the ideal place to cycle. The roads are hilly and windy with almost non existent bicycle paths or even shoulders. Plenty of traffic makes it less than safe. Yet bicycles come off the ferries by the dozens. The islands truly should look at finding a way to create a safe infra structure for these cyclists who bring buckets of money on their 10 speeds. From Anacortes we drove south to the Port Towsend ferry – a crossing of 20 minutes. From ther e is was south and west across the Olympic Peninsula, with views of Mt Olympus, Mt Baker and Mt Rainier most of the day. Gorgeous time to drive here as the fields are green and the abundant rhododendrons are still blooming. Having lived here, the US always feels like a comfortable, old pair of shoes we slip on again. But the differences with Canada are always apparent to us. The people so jovial and kind – yet everywhere are signed for guns for sale. One store boasted a huge sign: “Guns for sale, new and used, the tools of freedom”. I notice many more drive-by coffee shops. It’s nice to have dinner, in a typical American diner, for under 35.- including wine and beer for two. And I love being able to pick up a bottle of wine in Safeway. Bought a bottle of Barefoot Moscato for 4.- today! We drove many backroads south through Washington, ending up at the 6 KM long (!) Astoria bridge. Can’t help wonder what Lewis and Clark would think if they saw this amazing structure connecting the north and south shores of the Columbia River at its mouth just before the Pacific Ocean. Sauntering (can you ‘saunter’ in a car?) through small villages along Oregon’s Highway 101, we past the Haystack Rocks at Cannon Beach, the picture perfect beach of Manzanita and the green pastures around Tillamook. Here you can travel on a steam train, visit the cheese factory and an aviation museum. We continued to Depoe Bay, which seems to have changed its slogan from ‘world’s smallest harbour’ to ‘whale watching capital of the world’. The latter does seem more attractive, even if it may be debatable. We always stop into The Leather Store, here or in Newport. Leather briefcases, belts and much more at low prices. Three miles north of Newport we finally reached our destination for the next few days: Moolack Shores Motel. For many years we drove by this place and often said that “one day we should stay there!” Today we finally did. And it beat my high expectations. We have a corner room with large windows looking out over the Pacific Ocean. 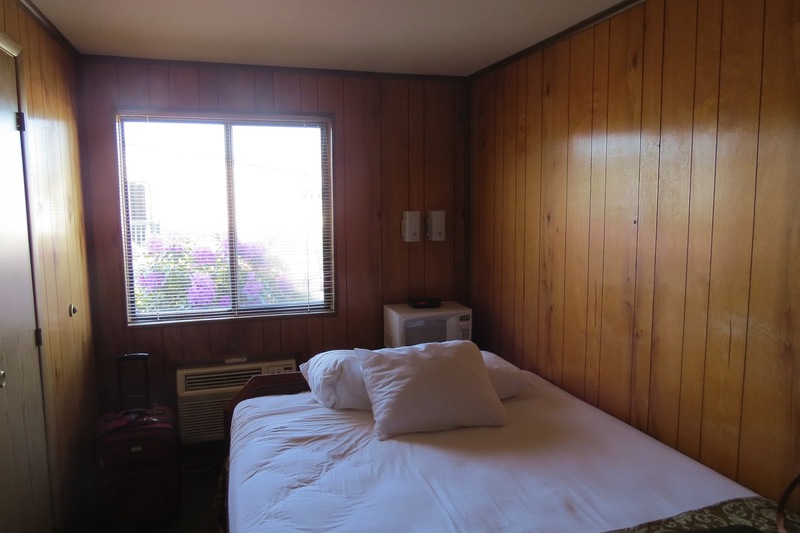 The motel is directly over the beach, with a private balcony. We have a lovely room with a small kitchen and bathroom. I’d like to pack up all the Hawaiian yard sale junk that decorates the room and take it to the nearest thrift store: there are parrots dangling over the bed, pineapple shaped lamps and mirrors and gawdy lamps made from shells. But the location and view make up for the decor. Unfortunately, the next two days turned cold and rainy. We enjoyed sitting on our private deck for the first afternoon but after that it was cold, wet and miserable. You just never know on the Oregon coast. But how nice to have a (fake) fireplace, wine and a laptop to get some work done. We had dinner at the best steak house in town: Szabos looks like an old wild west saloon, inside and out. But they serve the best darn steak dinners for under 14.- Highly recommended. There are different ways to get from Newport on the coast, to Eugene in the Willamette Valley. Our favorite way is to drive south along the 101, along the cute little town of Yachats, by the Sealion Caves, past Cape Perpetua, with its gorgeous tidal pools and visitor’s centre. But this time it was raining, a miserable cold drizzle and fog. So we opted for Hwy 34 along the Alsea River. This is a drive through a rhapsody of green: tall woods, moss covered branches, towering ferns. You end up in Corvallis, a small town with a university and funky stores and pubs. We had lunch at New Morning Bakery, did some chores, some shopping and then drove along backroads, through impeccable Mennonite farm country to Eugene. In all the 40+ years we’ve been coming here, we have almost always either lived here or stayed with friends. This time we booked a B & B right next to the campus. It exceeded all of our expectations: The Secret Garden is a huge heritage house surrounded by greenery. We are kiddy corner to the campus and love roaming the paths that we walked here when Kees was a student. Many of the restaurants and shops remain unchanged. We have been having Italian dinners at Mazzi’s for over 40 years. Smith Family Bookstore, Prince Puckler’s icecream, and many other places have been here forever it seems. Our room in the B & B is lovely, with a large private bathroom. Breakfast is served in a beautiful parlor with flowered porcelain dishes. 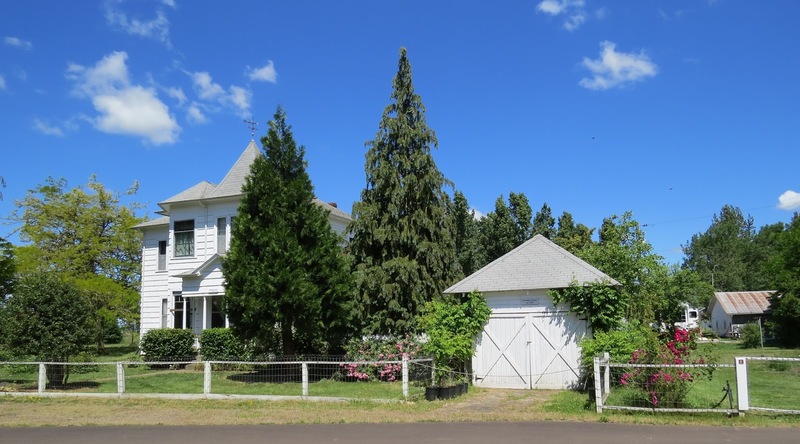 We highly recommend this place if you ever want to stay in Eugene – same cost as an impersonal hotel room but with lots of character and charm. We spent time at both locations of Smith Family Bookstore today, browsing the endless piles of books scattered everywhere. This is book heaven. And they have most titles that you might be looking for. It’s amazing they can even find them among the teetering stacks of books. I was delighted to finds two of Patrick Taylor’s Irish Country Doctor titles. And Kees found some nice travel titles. We had dinner at one of our old favorites: the Oregon Electric Station. The pub has comfy chairs and nice food. Tomorrow we’ll be homeward bound. Our last stop in Oregon was at one of our favorite places: Thompsons Mills State Heritage Site. We lived here for several years when Kees worked with Oregon State Parks and when the state had newly acquired this historic property. 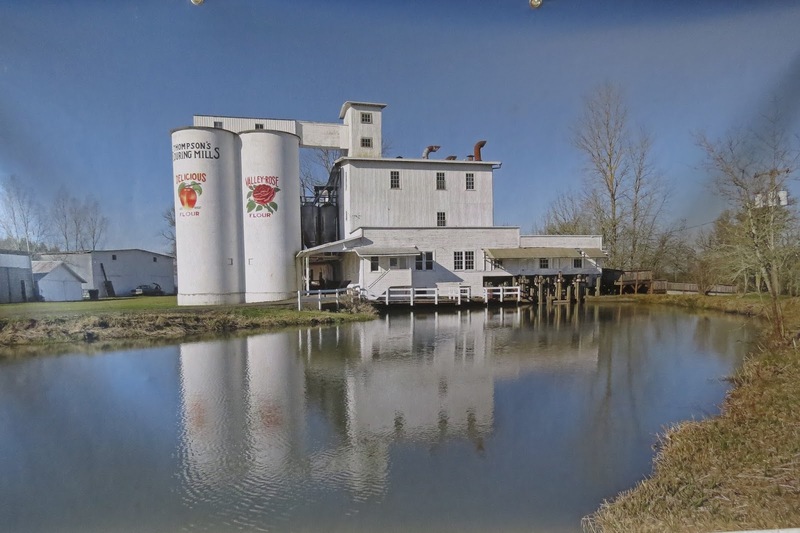 The mill was one of the first industries in the state of Oregon, build in the mid 1800’s and has a rich history of grinding and storing grains for farmers of the area. 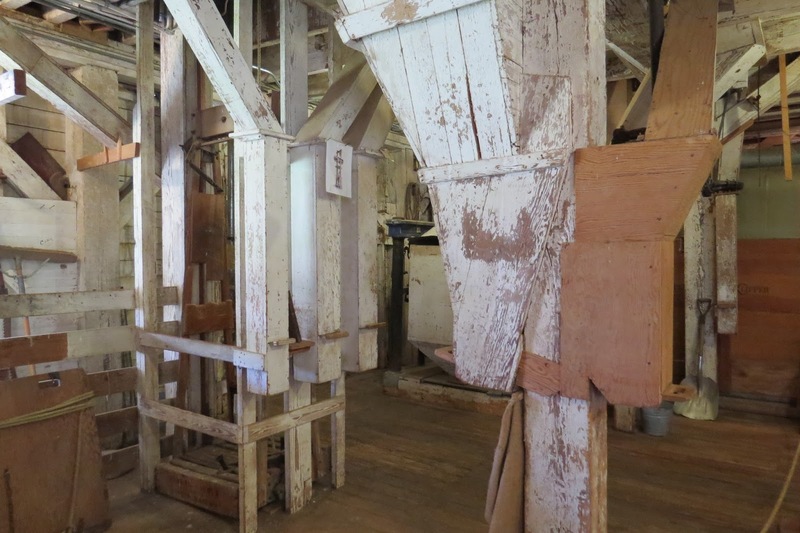 The 2 storey mill building was constructed with wooden pegs, impressive silo’s held the grains and, inside, an amazing system of pulleys and ladders is powered by the water of the Calapooia River. Once the mills start grinding, the entire building comes to live. It is a sight, and sound, to behold. If it was once lovingly built, it has now been just as lovingly restored to its old glory. Park rangers and hosts made it possible for the mill to operate, and demonstrate, again. I had the privilege of helping to restore the millkeeper’s Queen Anne house, built around 1900, to the proud home it once was, boasting electricity as one of the first homes in the state. When we moved in, windows were broken, blackberries had worked their way in through the walls and rats infested the walls. It took years to restore the original wainscoting, the ceiling trim and corner pieces. To get the transom windows to work again and to figure out what color paint and wallpaper might once have been on the parlor walls. I cooked on the wood stove in the kitchen and we had new pillars turned to support the porches. It was an exciting time to live in Shedd, Oregon. After our visit, we had to head north again. But instead of driving the I-5, which have done hundreds of times, we opted for back roads. I love finding a way on the map, through tiny towns, to make it to our destination without hitting major roads. We drove through towns we’d never even heard of. At the foot of the Cascades we are now winding our way back to the Canadian border. We had dinner in a fantastic, brand new restaurant: Giorgio’s on Main in the town of Buckley, WA. 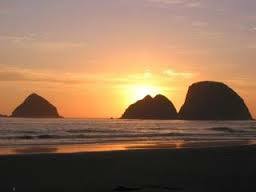 Perhaps there is no coastline in the world that is more scenic than that of Oregon. When our kids were 8 and 9 years old we fulfilled another dream by traveling around all of North America for a whole year. We put the kids in correspondence school, settled into a van and trailer and bummed around Canada and the US. Of course, as a park ranger family we visited many national parks. We saw buffalo and geysers in Yellowstone. We hiked in Arches National Park. The boys learned about scurvy on the historic ship that explorer Jacques Cartier arrived on in Canada. We learned about geology in Gros Morne National Park and saw bears in Banff. We’ve even lived in Oregon for several years, twice. And now we’re back for a week of exploring. Sometimes Fall and Winter are the nicest times for walking on the beach here. We’ve hiked quite a few miles on the wet sand, enjoyed a bowl of clam chowder for lunch at the famous Mo’s Restaurant while watching pelicans and seals compete for fish remains as a fishing charter boat came into the public dock in Newport. (http://www.moschowder.com/annex.php)We once had Christmas dinner at Georgie’s – probably the best table on the entire coast. Their dining room and pub have large windows right over the beach. We had a great turkey dinner while watching the sun set over the Pacific. (http://www.georgiesbeachsidegrill.com) Next day we had great burgers and beer at our favorite hangout: The Drift Inn in Yachats. They have life music every night of the year, usually folk or blue grass. We loved sitting there, listening to mellow music. (http://www.the-drift-inn.com/schedule.php)If we ever come here with our grandkids we will likely visit the Newport Aquarium or the Hatfield Marine Science Center, but when it’s just the two of us our favorite passtime is walking on the beach. Today we had blue skies, the odd drizzle but mostly nice weather for walking. We watched a blue heron, blue jays, junco’s and many different kinds of chickadees attack our birdfeeder. Life is good. There is so much to see and do here. I will focus on the center of the state: from Florence to Oceanside, Oregon. 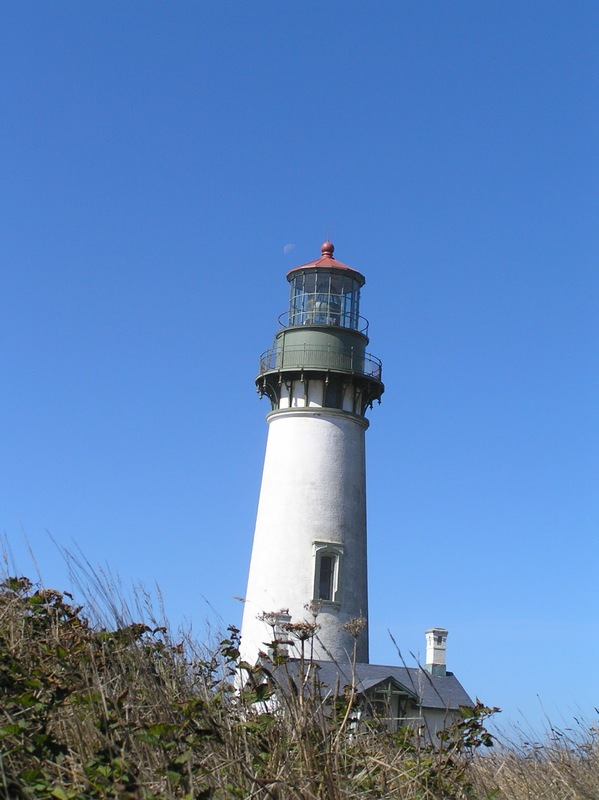 Next is Cape Perpetua with a good visitors’ center, trails and tide pools. Kids (and adults..) will love exploring life in the tide pools, finding anemones, starfish and much more. If you have time, take the drive up to Perpetua Look-out for the amazing view south along the coast. And be sure to stop at Devil’s Churn to watch white foam waves spouting up between the rocks. After that you will come to “our” village of Waldport, where we do our grocery shopping, find amazing wines and micro brews in Ray’s Supermarket, pick up a latte and watch seals lazing along the Alsea river. Nice kayaking here, too. We have a little cottage just north of here and love spending days walking along the wide sand beaches. Amazing beaches. 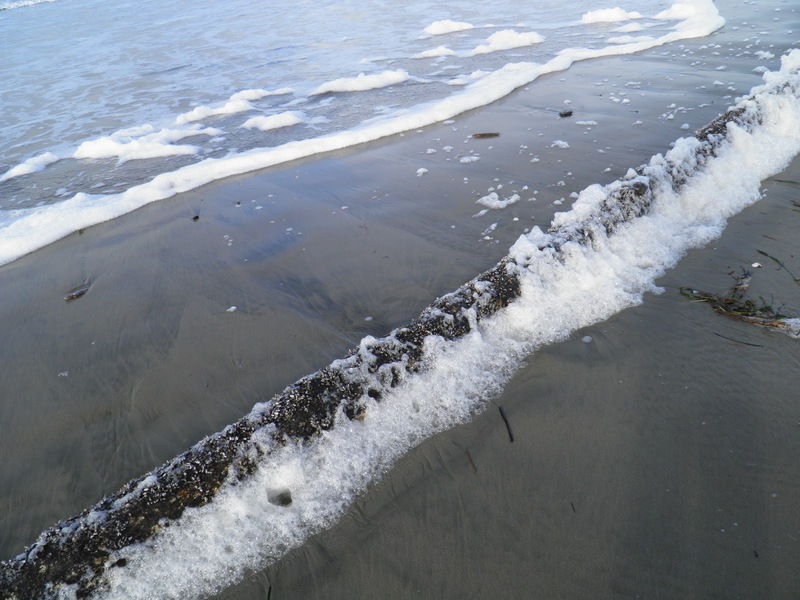 At low tide they are 1/4 mile deep, and allow us to walk many miles from here to Seal Rock. Along Highway 101 are several woodcarvers, selling large wooden bears, fun sea gulls and more. 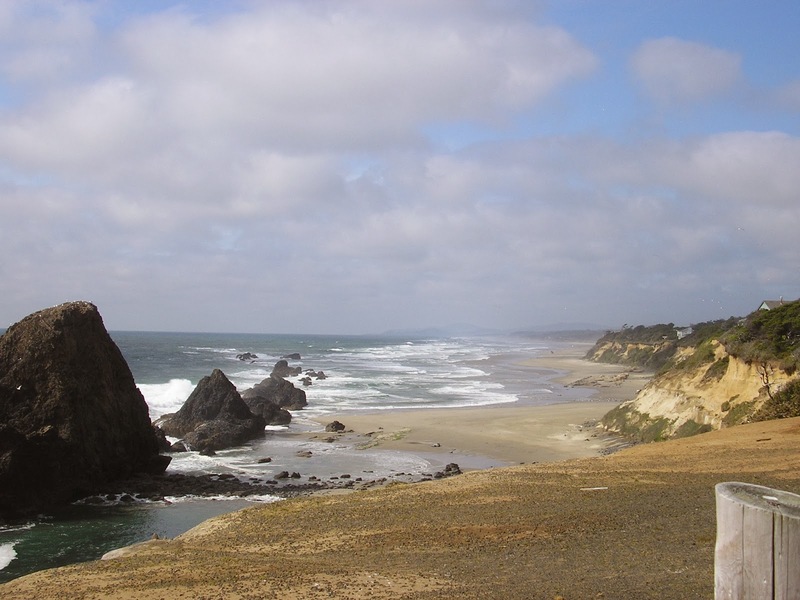 There are also 5 state parks between Waldport and Newport, all with gorgeous beaches. Newport and Lincoln City are pretty crowded in the summer with tourists, shopping, doing all the touristy things. But do visit downtown Newport to see the sea lions on the public dock. Clam chowder at Mo’s makes for a good lunch. And I like to pop into the Leather Works Store which has many leather things, all under $20.-, including office roll-on bags, purses, belts and jackets. Newport also has the Aquarium and the Hatfield Marine Science Center, if you travel with kids or want to explore these sites. 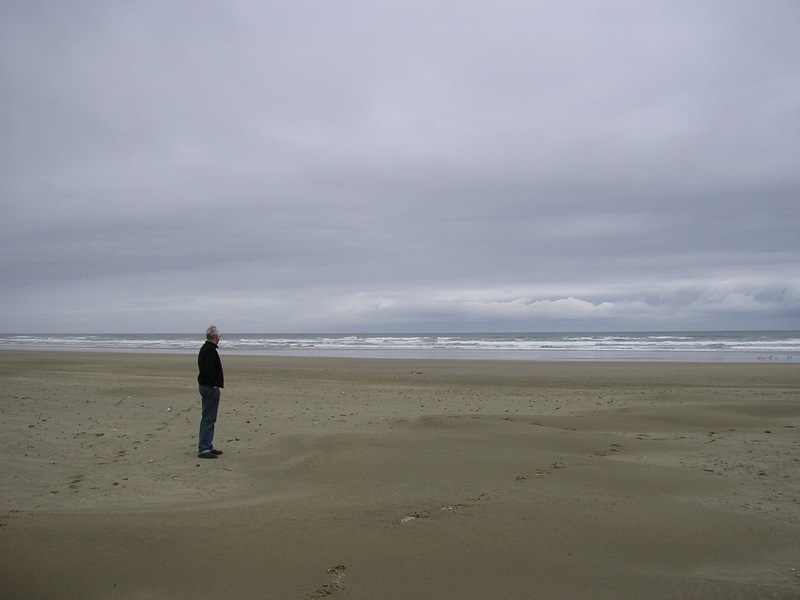 North of Lincoln City, the crowds fade away behind you and things get quieter. But there are also fewer places to eat or shop. The towns seem more ‘rustic’ and I noticed more ‘closed’ signs than ‘open’… But be sure to swing into the road leading to Cape Foulweather. Amazing vistas. And the cool giftshop here has my favorite window in the whole world. It makes you feel like you are hanging above the Pacific. Which you are. 500 feet to be exact. Tillamook… you can visit the cheese factory, the airplane museum which is the largest wooden structure in the world (http://www.tillamookair.com/) and take a ride on the Garibaldi steam train. But it’s worth the drive to Oceanside to spend some relaxing days in this picturebook village. The houses cling to the cliffs (literally) and you can sip a latte looking out over the blue ocean or walk on the sand beaches near the famous Three Arches. A great place to hang out. Best time to visit the coast: September, when the wind is calm, the sun usually shines and the crowds have gone home. January. T-shirt weather on the Oregon beach! Went for a hike this morning and had to take our jackets off ’cause it is so warm! Amazing. We are lucky to have a glorious week here. No problem with driving and now we are basking in spring-like weather. We love Oregon and come to our little house near the beach as often as we can. Which is not often enough. 10. Leather work – a store in both Depoe Bay and Newport where everything is real leather and under 20.-! I have bought an office bag on wheels here. Kees buys new belts and his signature cowboy hat. 9. 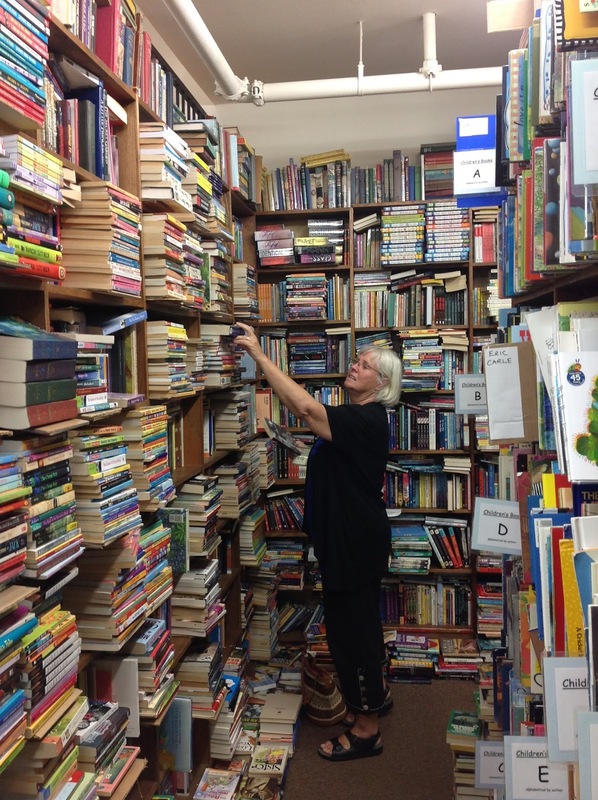 Used bookstores – especially Smith Family bookstores in Eugene. With stacks and piles on floors, and isle after isle of book mazes, we love getting lost here among great titles. 8. When we are in the Eugene area, we love the cozy pubs and restaurants. Our favorites are McMenanin’s and Mazzi’s. The first one is a chain of quaint buildings with great micro brew pubs, i.e. one with Dutch streetname signs in Corvallis, a converted brick school in Portland and many others (http://www.mcmenamins.com/). 7. Wine/beer. Where else can you buy Mount Hood Riesling or a big bottle of Lambrusco for 8 dollars! Kees enjoys the Black Butte Porters and other micro dark beers. 6. State parks. Oregon can’t be beat for its gorgeous abundance of state parks that offer hiking, beaches, nature, camping, even yurts. 4. Crab burgers in Newport. This is our favorite meal here. The Crab Shack has crab burgers and fries, which we pick up and eat sitting on a log on the beach! Beats the most fancy restaurant! 3. Music. Oregon has some fantastic music places and events. There are regular Opry’s with musicians coming out of the hills and valleys to perform old time folk and blues. Florence has an annual Folk Fest with impressive bands. Last night we saw The Brothers Four in concert! 2. Friends! We love catching up with friends dating back to our university days in Eugene. So special that we still often meet and get together! 1. And best of all: walking on the beach. 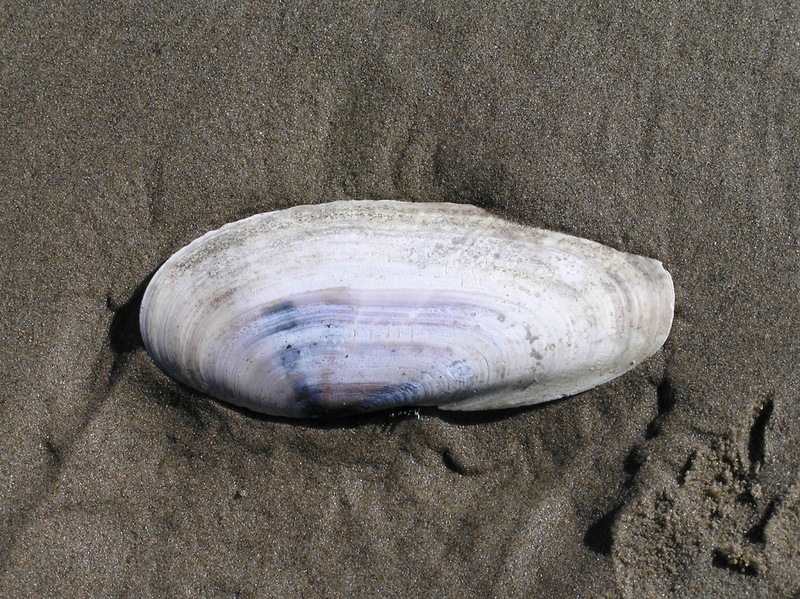 We walk for hours to the Alsec River, to the Seal Rocks, listening to the breaking surf, picking up shells and marveling at the ever changing beachscape.